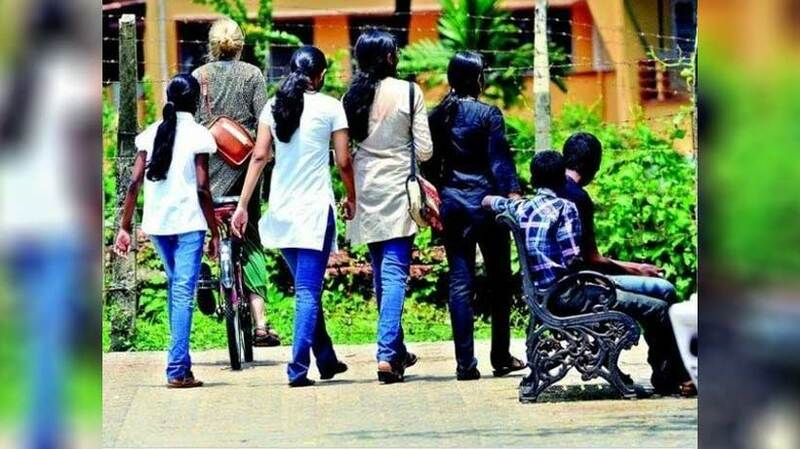 Kochi: The rate of missing female in Kerala has more than doubled compared to males in Kerala during 2016 causing serious concern about the State turning into a land fertile for racketeers, including terror-recruiting. A total of 173 females went missing compared to only 79 males taking the total tally at 252, according to National Crime Records Bureau (NCRB) records.The most shocking thing is the huge increase in missing of females in the age group of 12 to 18.It was eight times more at 145 than boys at 18 in the category.On the contrary missing of females fell considerably in the age group of 18 to 60 where men stood at 61 and female at 28. Compared to the year 2015, the missing rate was less at 252 in 2016 against 271 in 2015.On the national front, 60 per cent of the total missing people were females — about 24 per cent in the group below 18 years and 74 per cent in the 18-60 age group. A total 22,340 minor boys (below 18 years) went missing in 2016 and the number among girls was almost double at 41,067. In the 18-60 years age group, 84,852 men and 1.29 lakh females were missing. This rising scale of missing people, especially females, has been cause for serious concern. According to sources, besides begging rackets, there could also be those working the flesh trade. Another serious matter to be looked into was whether some of them were recruited by terrorist groups.In a State with high human development indices, including high education status, the authorities need to go deep into finding where these missing people have been taken to, they added.